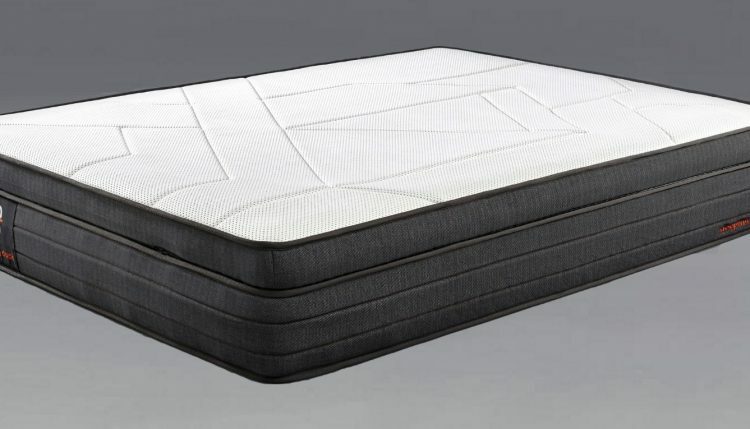 The Sleeping Duck mattress is one sleek looking mattress that contains both springs and latex. 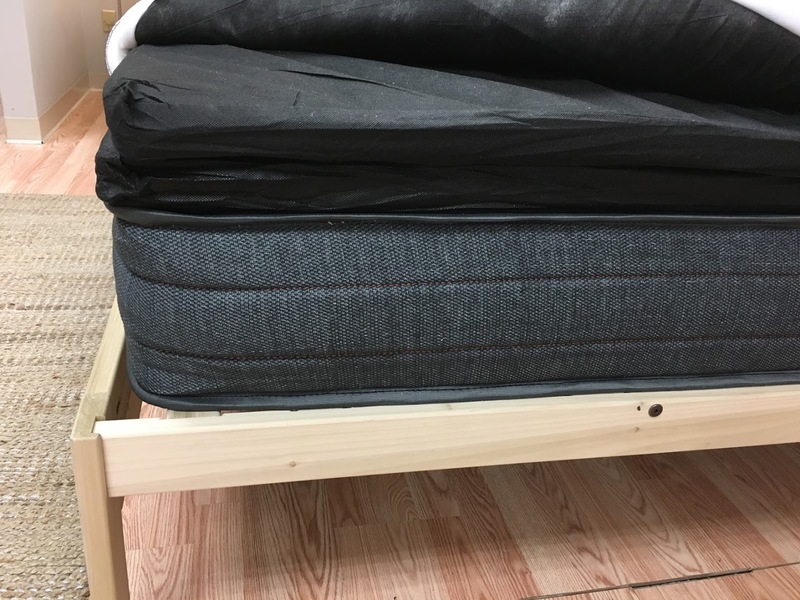 What makes this mattress unique is that the top layer can be swapped out to adjust to your level of firmness. A queen retails for $1,349 and comes shipped in a box. Below are my findings. 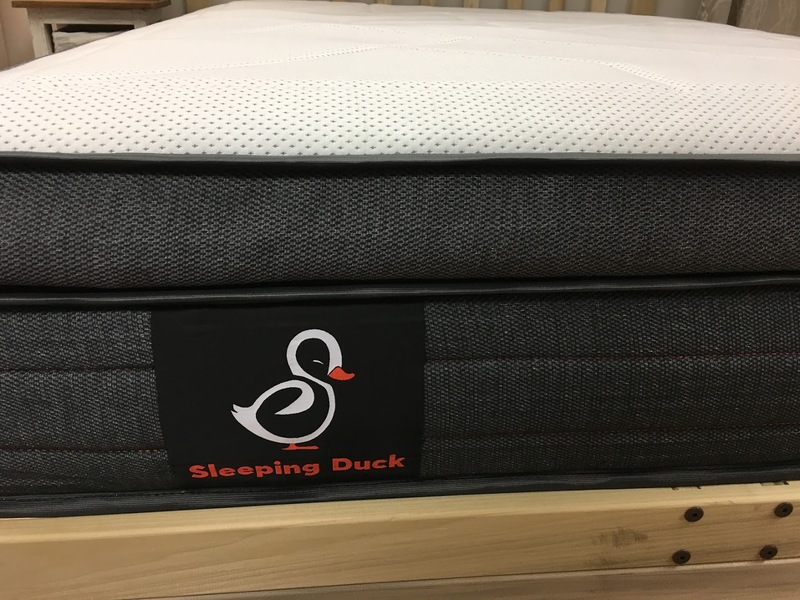 You can order the Sleeping Duck mattress online from their website. Once your order is placed your mattress should arrive at your doorstep in about a week. It will arrive in a really nice box like the one shown below. 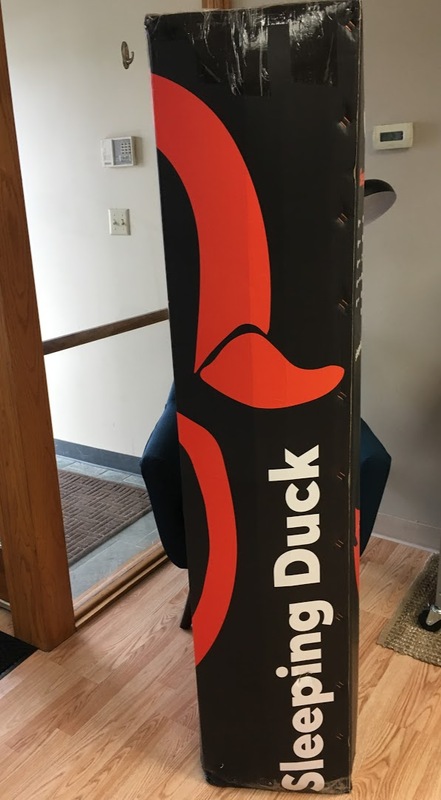 I received a king size Sleeping Duck for review. To set up your mattress all you need to do is pull it out of the box and cut open the plastic that it comes shrink wrapped in. Once air gets in, it starts to gain its original shape. Your mattress should be ready to sleep on in about an hour after unboxing. Here’s a picture of it right out of the box. Here’s video of me on the Sleeping Duck. 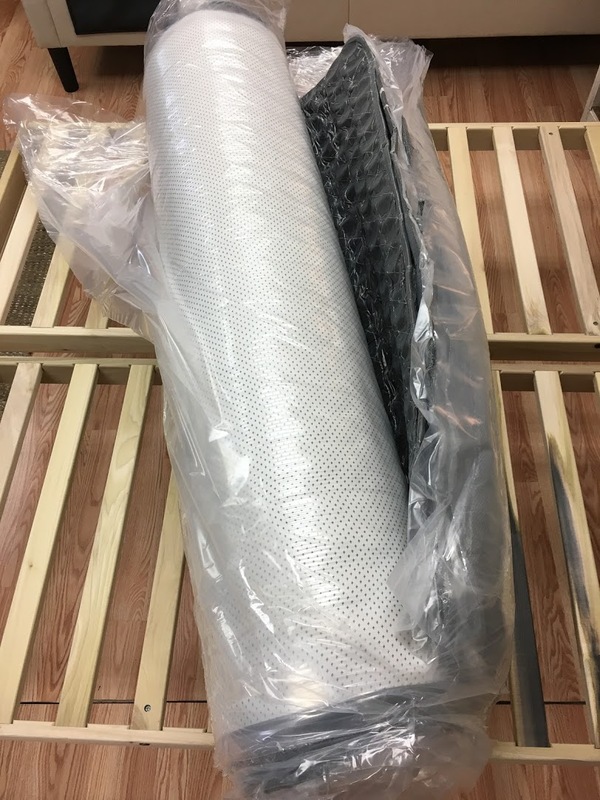 What sets the Sleeping Duck mattress apart from the pack is that they have springs and latex so you get all the benefits of a spring mattress along with the comfort and pressure relief of latex. Bamboo Fabric which helps keep you cool, has some stretch to it and feels great. There’s a layer of latex that provides instant response and is breathable because of small holes throughout the layer. Underneath that is a layer of cooling gel foam that provides good pressure relief. The base layer consists of a zoned pocket coil system. The springs are all individually wrapped and work independently. This means less motion transfer. You also get more support in in your hips and more contouring near your shoulders to help keep you in alignment. 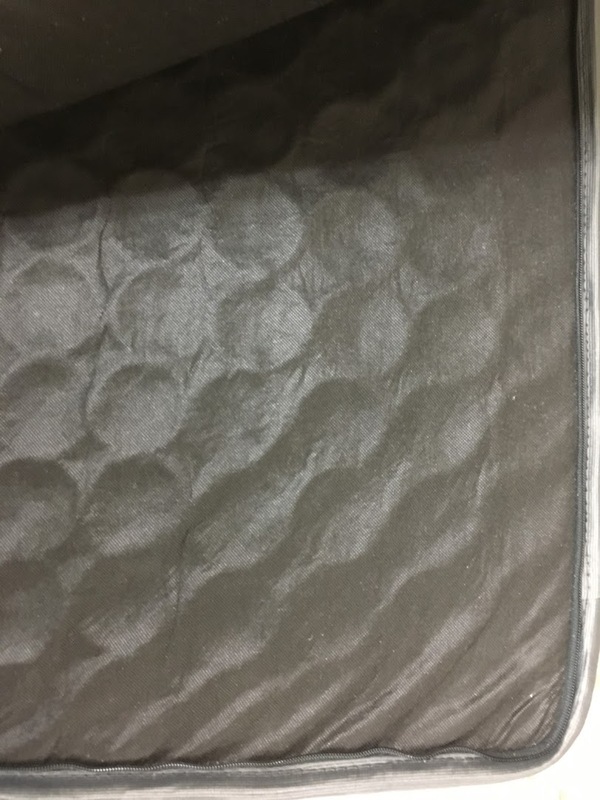 Below is a photo of the layers underneath the cover of the mattress. I found the Sleeping Duck mattress to be a little firm. The picture below illustrates how much sinkage you can get using my 14 lb. 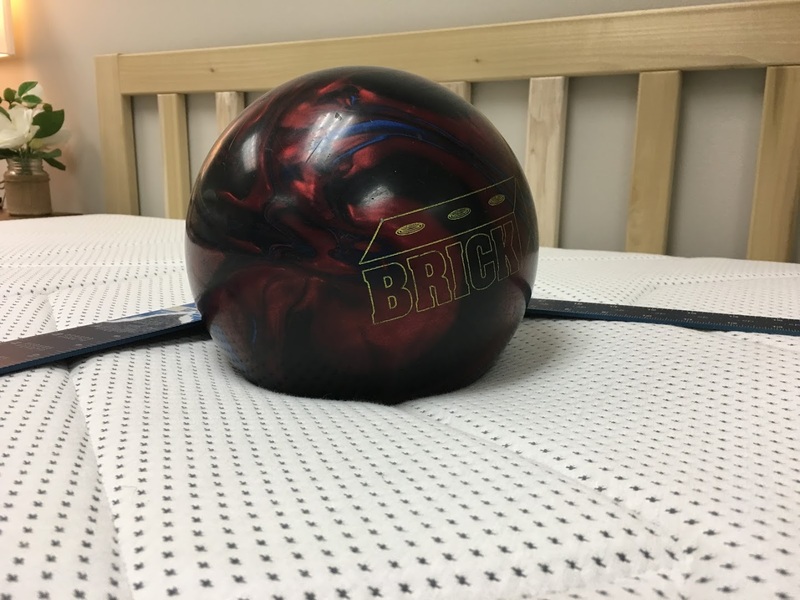 bowling ball. What I like is that if it is too firm for you, Sleeping Duck has a memory foam insert that you can use for either side of the mattress. For instance, if your partner prefers a softer side and you like firmer, each of you can have your own level of firmness without having to sleep in different beds. Here’s a picture of the cover where you unzip to remove or swap out layers. Underneath the top layer is the base layer of springs. In the picture below you can see the pocket coil system. To get a sense of motion transfer and bounce, here’s a clip of me dropping my bowling ball on the mattress. This mattress also sleeps cool. I think there are two main factors for this. 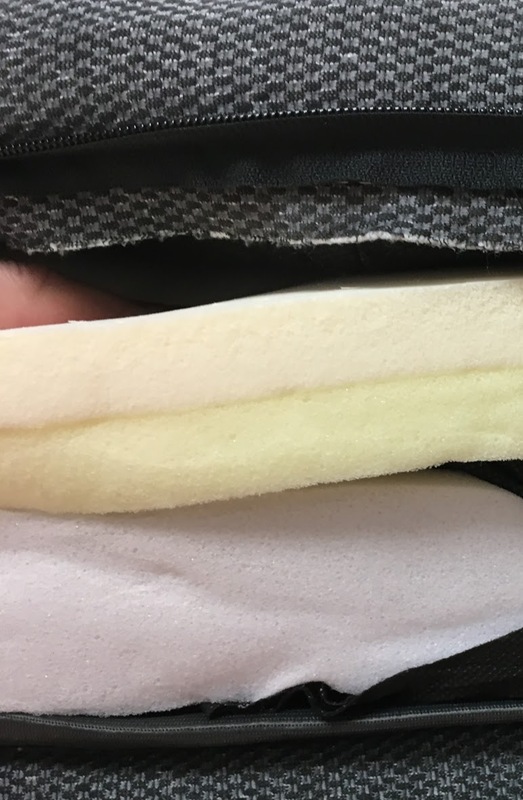 One is that the first comfort layer is latex which has holes throughout to that allow air to flow through. Secondly, it has inner springs which also allow for more breathability. Below is a video created with my infrared camera to illustrate heat retention on the mattress. I really enjoy that you can customize this mattress. People that prefer the traditional feel on an inner spring mattress will appreciate the construction. Best of all it comes with a 100 night guarantee. If you aren’t happy with your Sleeping Duck, they will swap out the firmness for free or offer you a full refund.